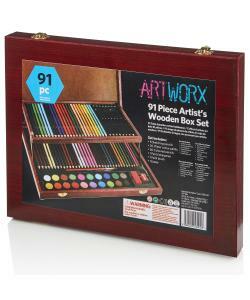 High quality colouring, sketching and painting studio by ArtWorx, in deluxe wooden storage case with metal fastening. 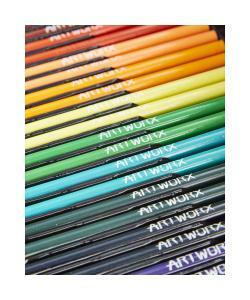 Features a fold out upper level tray for easy access to all you're artist supplies. 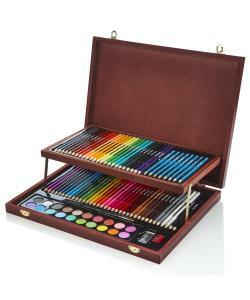 This high quality colouring and sketch studio by ArtWorx features a deluxe wooden storage case with fastening mechanisms making it perfect for travel or moving around the home. It containts everything you need for the full art experience. Would make a great gift for any aspiring young or older artist.